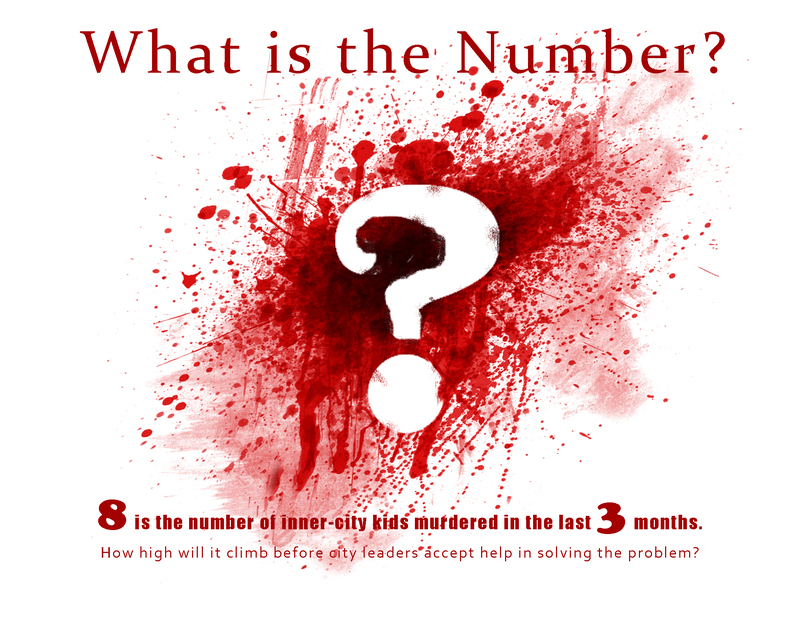 Arts program and Rainier Valley OG’s ambitious plan to stop out of control youth murder rate. GRASS-ROOTS YOUTH ARTS PROGRAM UNIFIED OUTREACH AND STREET-WISE COMMUNITY LEADERS FROM SEATTLE’S CENTRAL DISTRICT AND RAINIER VALLEY PROPOSE A NEW “DEPARTMENT OF INNER CITY AFFAIRS” BE ESTABLISHED IN THE MAYORS OFFICE TO ADDRESS ISSUES SPECIFIC TO INNER-CITY YOUTH WITH “OUTSIDE THE BOX” THINKING. June 20, 2014 – Youth Arts program Unified Outreach has put forth an ambitious proposal for the creation of a new department within the Mayor’s office. The new Department of Inner-City Affairs would address issues specific to Seattle’s Central District and Rainier Valley in order to assist in reducing the amount of criminal activity in Seattle with the use of “outside the box” youth programming and community liaisons that will be proactive in preventing violence, advancing race & social justice issues, and providing a mutually-beneficial partnership with Seattle’s public safety officers to provide previously unattainable neighborhood resources when crimes do occur. This coalition has dedicated themselves to finding a solution to the violence. With 7 youths dead at the hands of other kids, 15 overall killings, and nearly 50 reports of gunshots in the CD and Rainier Valley since spring began this is something most in Seattle have never experienced; and certainly not expected in our peaceful Northwest Mecca. However, for most of the untouched areas of Seattle business goes on as usual; with a Seattle media seemingly out of touch with what is happening (one paper referring to the recent epidemic of shootings as “few injuries reported” despite the 7 dead kids), and city leadership that ranges from oblivious to the problem to disgustingly opportunistic. As for the few city leaders who have shown attention, their ideas for solving the problems are the typical sound bites you’d expect; pre-K education, increase minimum wage, more jobs, and so on. As well intentioned as they are, the ideas are woefully out of touch with the thoughts and minds of those responsible for inciting the violence. The strange thing is Seattle is no Los Angeles or Chicago; Seattle isn’t a giant metropolis where the hotspots of violence can span a hundred miles; no, our hotspots are along 23rd Avenue South and Rainier Ave S., really just a few square miles. Sadly, and without doubt the same mothers and father who have lost children to this violence work in and around city hall, frequent the same coffee shops and sandwich stores; yet city business goes on as though nothing is out of the ordinary. This is why a Department of Inner-City Affairs is needed! Unified Outreach, along with the community elders involved in the proposal have put their experience growing up in these communities and continuing to work with low income and at-risk youth to work; believing many low income and at-risk youth are more responsive to those in the (shared) artistic body, and those seen as old school/OG’s (original gangsters) who have established themselves in the neighborhood. The proposals idea is that those OG’s that are also active in the artistic field be recruited to act as liaisons between the city’s at-risk youth and the city community leaders/authorities. Community leaders such as Pastor Ray Rogers, Dr. James Croone, Tyrone Dumas, and many more who have a 20/30+ year history in these neighborhoods and are “neighborhood famous” in Seattle’s CD and South-end of Seattle are needed. These are respected elders you can find at neighborhood barbeques and community events and when they speak the kids listen. These community elders are artists and arts administrators in their own right; hosting musical performances, parties, and community events where youth engagement occurs. Events where troubled youth are recognized, conflicts resolved, lives set straight; yet these events will never be approved for a Department of Neighborhoods or Office of Arts & Culture Youth Arts grant because they don’t fit the Arts Commission’s idea of what an artist looks or sounds like. The same type-A personality, the direct speaking style, the same REALNESS that makes these people attractive to our youth are seen as negatives by Seattle’s artistic gate-keepers and turned away from receiving artistic and community grants. So the key is to design program partnerships that recruit these OG’s and back their programs; with the understanding that there is an open communication and true working partnership with the select branches of law enforcement, courts, and other areas of public safety. There is confidence that Unified Outreach has a blueprint for such a partnership; an achievable plan to save lives. Currently the Office of Arts & Cultural Affairs has a budget of $8.5 million, and the Department of Neighborhoods has a budget of $12.4 million (combined nearly $21 million). Not surprisingly, these departments often have a surplus (Large Project Fund is one example). The proposal suggests 20% from each Department be allocated to the Department of Inner City Affairs in order to support a new Department operating under the guidelines that have been provided in this memo. What is the value of a human life? Are the 7 lives lost worth less because they are kids from the Central District and Rainier Valley? $5.3 million per year towards the DOICA is reasonable and the return each year in the lives saved cannot be measured. If city leaders can put $21 million each year to simply “enrich through art” the lives of those in Seattle, isn’t it worth $5.3 million to actually SAVE those same lives? Would it be a more palatable program if it funded programs in Magnolia? Queen Anne? Lake Union? These are hard questions that deserve answers. The proposal is a viable solution to reducing crime and providing safer streets. However, because it is a new and unique approach to solving the problem it is bound to encounter pushback from the status quo; and as such will need visionary leaders to champion this as we move forward. Seattle’s leadership must get out of its comfort zone and begin engaging in a more indigenous form of youth outreach, which requires bringing in oversight that understands the working relationship between this new style of community leader (OG’s), and at-risk youth. Unified Outreach believes the program can be a success; if city leaders take care to avoid the common mistake of just throwing money at the problem. City leaders have to resist the urge to simply throw money at “established youth, arts, and community programs” in the area who may produce fine programming but do not know how to reach our target audience; and who (once they have received the special funding) will simply hire the same old friends & family and list them as “Special Consultants”. Not every person living in the CD and Rainier Valley for decades is respected by the community. Also, there are many artists and arts/programs already operating that don’t reach the kids we are talking about. We need to recruit REAL community-leader OG’s that have a PROVEN history of working with our YOUTH. The people living in the neighborhoods that are being affected by this wave of violence KNOW who the people are that are working to make a difference. 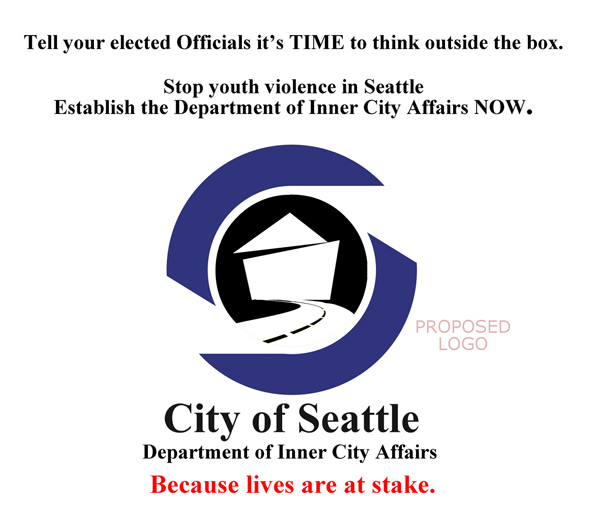 The creation of a Department of Inner-City Affairs (DOICA) within the City of Seattle Mayor’s office, with the RIGHT people in leadership roles CAN and WILL save lives.